Don’t you just hate it when you are ready to make a recipe, only to discover that you have no heavy cream? I know I do, and it happens often, since I don’t normally keep it in my fridge all the time. This heavy cream substitute is one of my favorite cooking tips, since it can be made with items that you very likely DO have on hand. 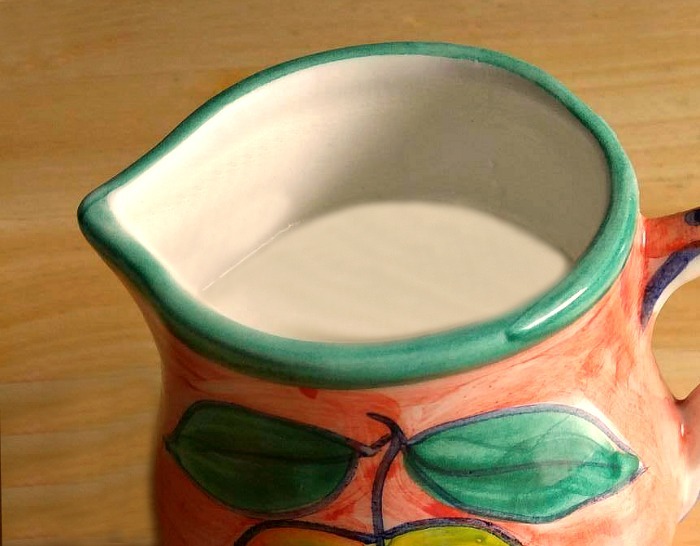 Heavy cream is a staple of both home cooks and professional chefs. It is used in sauces, pastries, soups, and many desserts. 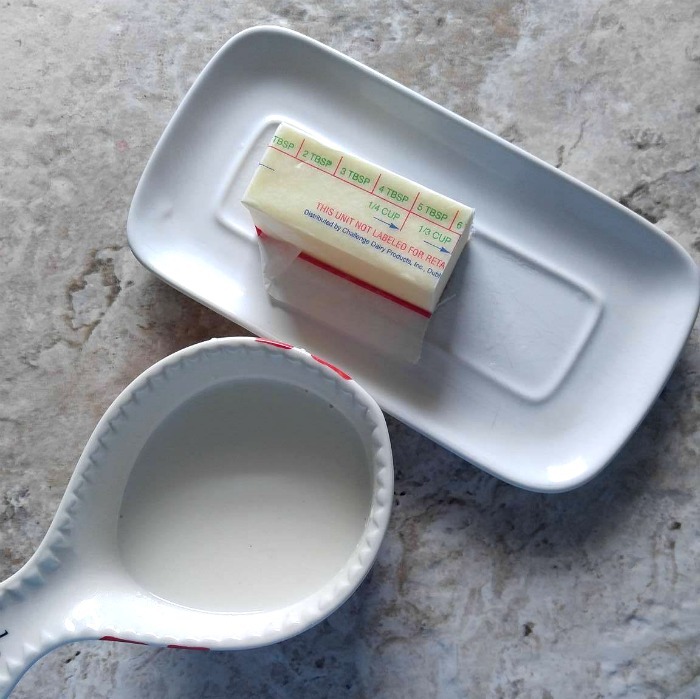 If you are in a pinch and find that you have run out of it, you can make a great substitute using just two items: butter and milk. Note: This heavy cream substitute is for emergency cooking. It won’t whip the way normal heavy cream will and it will also have a different flavor and texture but it will do the trick to easily make a chocolate ganache or a creamy sauce for your chicken for dinner. This heavy cream substitute could not be easier to make. Just melt the butter. I used a microwave in 20 second intervals. Keep an eye on it. Butter burns easily! Let the butter cool slightly. 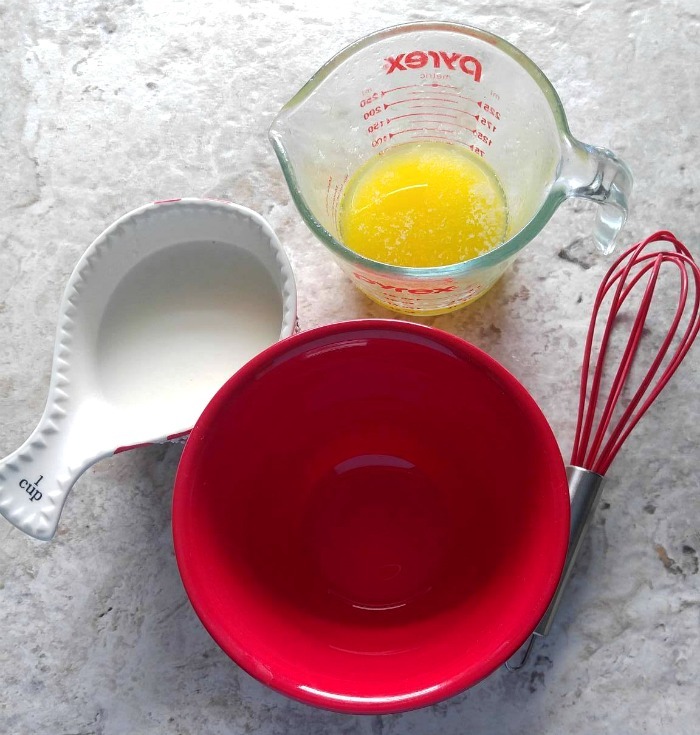 Add the melted butter to the milk and whisk well to combine. At first you will have a buttery looking mixture, but as the butter starts to solidify, the mixture will thicken. 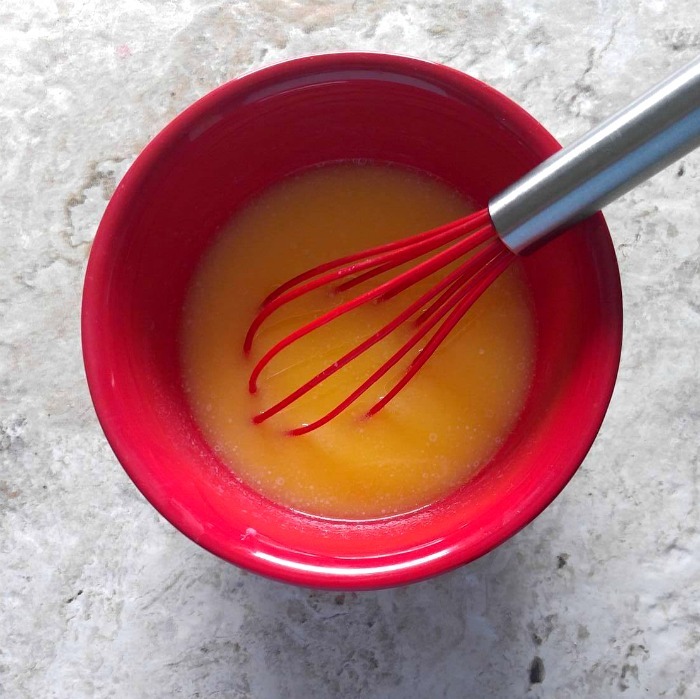 For best texture results, whisk the ingredients together and then mix with a hand mixer or immersion blender. If you store it in the fridge for later, re-mix with a mixer since the two ingredients will separate and the butter will rise to the top. Use cup for cup in place of heavy cream. Another option to make sure you don’t run out of this kitchen staple is to keep powdered heavy cream on hand in your pantry. My local store doesn’t stock it, but it’s available at many places on line. Buy powdered heavy cream on Amazon. This product works just like powdered milk. Just add water and you are good to go.